Pointe Noire-based regional carrier Trans Air Congo (Q8) has applied a smart new livery to its Boeing 737-200 (TN-AHI). ►► KENYA: Qatar Airways indefinitely postpones Mombasa route launch. [Update 14 August] Inspite of the successful launch of its new Kilimanjaro, Tanzania route last week, Qatar Airways has indefinitely postponed its new Mombasa, Kenya route. Originally meant to start from 15 August 2012, the flight would been flown with an Airbus A320 and would have gone via Dar es Salaam, Tanzania. No official announcement from Qatar Airways has been received as to when, if ever, the route will be flown though Airline Route reports that the flight on the GDS is no longer available. ►Update: See this post for new schedule. ► TURKEY: Turkish Airlines announces changes to Africa Network for Winter 2012. 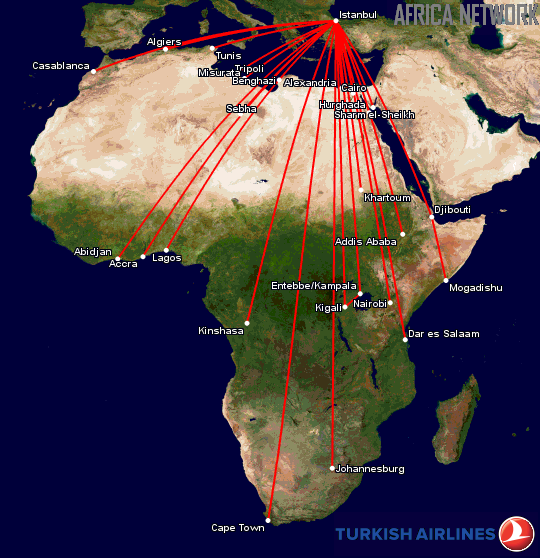 Turkish carrier Turkish Airlines (TK) has announced various changes to its African network effective Q4 of 2012. -Effective 28 October 2012 service reduces from daily to 5x weekly using 737-900ER. -Effective 9 October 2012 NEW 4x weekly service to its 3rd destination in Egypt. Schedule below effective 28 October 2012. - Effective 27 September 2012 service increases from 4x to 5x weekly. Schedule below effective 28 October 2012. ■ BOTSWANA: Government fires Chinese firm Sinohydro over delays to Gaborone Airport Expansion project. Fed up with continual delays and deadline setbacks, the Botswana Government has decided to fire the primary contractor on Gaborone's Sir Seretse Khama International Airport (SSKIA) Expansion Project Phase 2, Chinese state construction firm Sinohydro, with 95% of the works completed. ● 3 Truly amazing Aviation Videos shot in Africa. The Belly of the Beast - A cam was attached to the belly of a 747 on a ferry flight from Johannesburg to Maputo, Mozambique. Ilyushin IL76 (Nose Cam) Landing 4 de Fevereiro International Airport, Luanda, Angola - Ever wonder what the navigator in the nose of those enormous Ilyushin 76s sees on landing? Stowaway Wheel-well View 747 flight from Lusaka, Zambia to Nairobi, Kenya - Pretty crazy video shot from the wheel well of an MK Airlines 747 Cargo flight. Now how awesome was that huh? ► GHANA: Africa World Airlines inks deal with Hainan Airlines; aims to launch in September. Ghanaian startup Africa World Airlines (AWA) has entered into a joint venture with Haiku based Hainan Airlines (HU) which will see the Chinese carrier taking a controlling stake in the soon-to-be launched Low Cost Carrier, the third of its type to launch in Ghana after Starbow Airlines, fly540 Ghana and CTK CiTylinK. Under the deal, management for AWA will be sourced from HNA Carriers, Hainan Airlines' parent company. An Africa World Airlines (AWA) advertisement. Other shareholders in the joint venture in addition to Hainan Airlines will be the China-Africa Development Fund, Ghana SAS Financial Group and Ghana Social Security and National Insurance Trust of Ghana. "The Chinese carrier said that “big market demand for air transport industry in Ghana and other parts of West Africa triggered by the backwardness of ground traffic” is the main reason it decided to launch AWA. But industry analysts also pointed out that “instability of political situation and harsh natural environment in Africa” would present some challenges for the successful operation of the new Joint Venture." Founded by Ghana's Togbe Afede XIV, a king from eastern Ghana's Asogli state, Africa World Airlines aims to launch in September with two Embraer ERJ145LR aircraft from Tianjin Airlines, with its initial route network set to focus on its Accra, Ghana hub and domestic destinations, before expanding into the region, pending regulatory approval. Should it be feasible, AWA's international expansion would only likely occur after five years, a sufficiently long-term date to quell any immediate concerns about 'over-reaching' - a major mistake that has been the undoing of many African carriers in the past, mostly due to its allure and prestige. ■ KENYA: Kenya Airways releases its Operations Report for Q1 FY2012. Kenya Airways (KQ) today released its Operations Report for the First Quarter of its 2012 Financial Year. For the layman, it is essentially a run down of how many seats are being offered on a particular route i.e capacity, and how well their product (i.e seats) are selling. ► NIGERIA: Turkish Airlines applies for Abuja & Kano; considers Enugu. Turkish Airlines (TK) has reportedly applied for clearance to the Nigerian Government for permission to start flights between Istanbul and Abuja, Kano and possibly Enugu according to news reports out of Nigeria. Should the routes be granted, they would be Turkish Airlines' second, third and fourth destinations in Nigeria after Lagos, which they have served since 2006. Turkish Airlines has seen its African Market share rise to 3% in the last 10 years with an aggressive push into various markets, the most adventurous of which has been its service to Mogadishu, Somalia which started this year. Currently, it serves 21 destinations, the latest being Kinshasa whose service will begin in August. Rumours are afoot that Conakry (Guinea), Freetown (Sierra Leone) and Douala (Cameroon) are also inline to be added, however, no official confirmation from Turkish Airlines could be obtained. 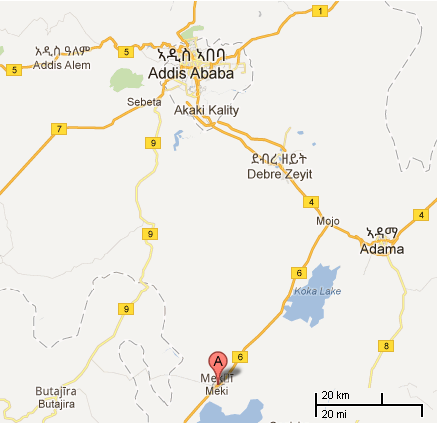 ► ETHIOPIA: Plans afoot for new Addis Ababa Airport as Ethiopian outlines new routes and plans. When upgrades to Addis Ababa's Bole International Airport were started in 1999 and completed in 2003 with the addition of a brand new terminal as well as a new runway, taxiway and various other structures, it was assumed that the Airport would only reach its maximum carrying-capacity in 2017 and that there would be more than enough time to plan for any future developments, should they be necessary. Well, it seems they will indeed be necessary and very soon, as reports from Ethiopia show that beating all expectations, by 2010, Bole had already hit its planned maximum projected capacity (which had been increased 12-fold to handle six to seven million passengers annually from its prior capacity of 500,000 passengers) thus forcing the Ethiopian Airports Enterprise (EAE) to either consider expanding Bole again, or to build a brand new airport from scratch. It appears they will do both. The first phase of expansion at Bole has already been completed by the Chinese Road and Bridge Corporation (CRBC) Addis Engineering Plc with the addition of a new taxiway done at a cost of USD$62million thereby permitting the airport to handle 34 aircraft simultaneously with a second phase already underway to further increase that capacity to 44 aircraft at any one time. The possible location for the new airport. 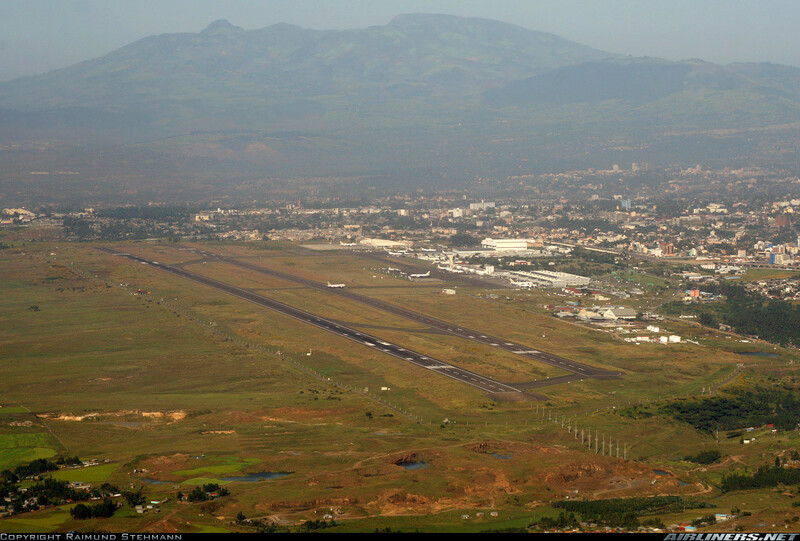 Currently, Bole sees over 110 aircraft movements per day, but with statistics showing that passenger arrivals have been steadily growing at 20% per annum, the EAE has also considered the option of building a brand new airport outside the Ethiopian capital Addis Ababa between the towns of Modjo and Meki towns on the Hawassa road; a road that will soon become an expressway. 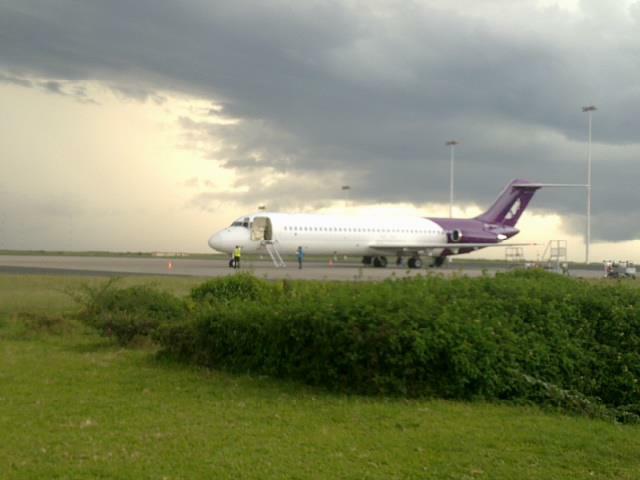 "The official said the Addis Ababa Bole International Airport will be used for regional flights, VIP flights and for those who are involved in general aviation services (private airlines who provide none scheduled flights). The new airport would focus primarily on accommodating long haul international flights." The establishment of a hub in Southern Africa, either in Lusaka, Zambia, or Dar es Salaam, Tanzania as well as a hub in Central Africa ("one of the Congos") to compliment Addis Ababa. In the long term, Ethiopian CEO Tewolde Gebremariam stated that Ethiopian will put very "heavy emphasis" on the BRICS nations - particularly Brazil, China and India - and believes these countries will drive the "huge growth" critical to Ethiopian Airlines' Vision 2025 objectives of flying 11 million and 1.5 million international and domestic passengers annually and generating USD$7billion in annual revenue. ► SOUTH AFRICA: SAA boosts flights to Sao Paulo, Mumbai, Nairobi from October; capacity to Mauritius from December. South African Airways (SA) will, with effect from October 2012 (September in Nairobi's case), be introducing added flights to its Johannesburg - Sao Paulo, Brazil, Johannesburg - Mumbai, India and Johannesburg - Nairobi, Kenya services with Johannesburg - Mauritius likely to see an increase in aircraft capacity closer to the festive season in December. ► EGYPT: Egyptair announces operational changes to Johannesburg, London and Mumbai routes. Egyptair (MS) has announced operational changes to its Cairo - Johannesburg, South Africa, Cairo - London Heathrow and Cairo - Mumbai routes. - Effective October to November 2012, Egyptair is to use its Airbus A330-300. The A330-300 is to operate from 6 October 2012 to 20 October 2012, and from 28October 2012 until 16November 2012 (JNB departs next day). 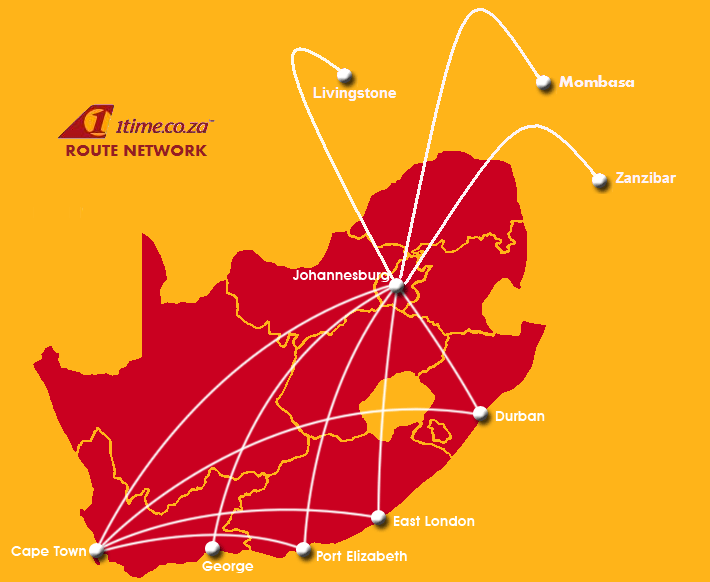 - From 28 October 2012 onwards, Johannesburg will have a 5x weekly service instead of the previously planned daily flight. The following schedule is effective from 6 October 2012 to 20 October 2012. - Starting 15 November 2012, Egyptair is to reduce its existing daily Boeing 777-300ER and 4x weekly A330-300 flights to a 11x weekly A330-300 service. - Valid from 9 July 2012 until 27 October 2012, Egyptair has cut flights to Mumbai from 4x weekly previously, to 3x weekly. ► MAURITIUS: Air Mauritius wants either 787s or A350s for fleet renewal; announces further Africa route changes. Mauritian national carrier Air Mauritius (MK) has gone on record as saying it is considering finding a suitable strategic partner in the form of a larger airline "to help it" in its fleet rejuvenation plans, something akin to Air Seychelles' (HM) deal with Abu Dhabi based Etihad Airways (EY) which has already seen the struggling Seychellois carrier receiving its first A330 as part of its turnaround efforts. Air Mauritius boss Andre Viljoen said the objective was for Air Mauritius to be rid of its A340s by 2017 at the latest, and for them to be replaced by either Boeing 787 Dreamliners or Airbus A350s. “A strategic partner may assist with our own required future fleet requirements,” he said in the presentation, adding that new twin-jet planes will be a “game-changer,” offering a saving of as much as 30 percent over the four-engine A340s." For the recent financial year, Air Mauritius posted a €30million loss compared with a €6.3million profit a year earlier, with operating expenses rising 14 percent. Viljoen was adamant though that in order for Air Mauritius to achieve its most important short term goal of returning to profitability in 2013/2014, it would have to undergo some much needed belt tightening in the form of route cancellations and modifications amongst which Durban, South Africa.will be dropped effective October 2012. 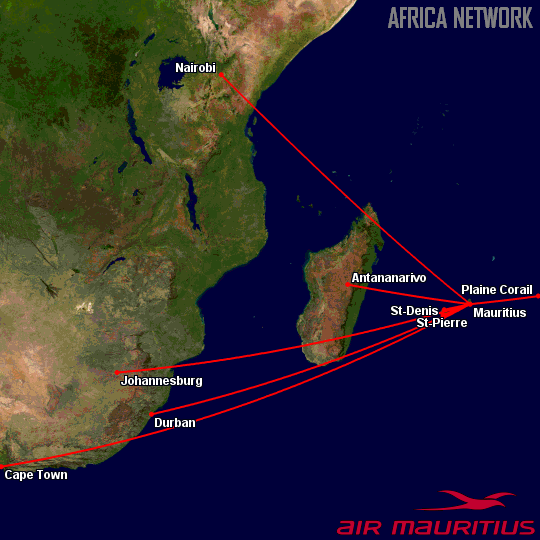 In the meantime, Air Mauritius has announced various operational changes to its African routes effective 28 October 2012 (European Winter) 2012). - Service increases from 5x to 10x weekly. Previously the airline planned to increase flights to 14x weekly. - Service ceases from 28 October 2012. 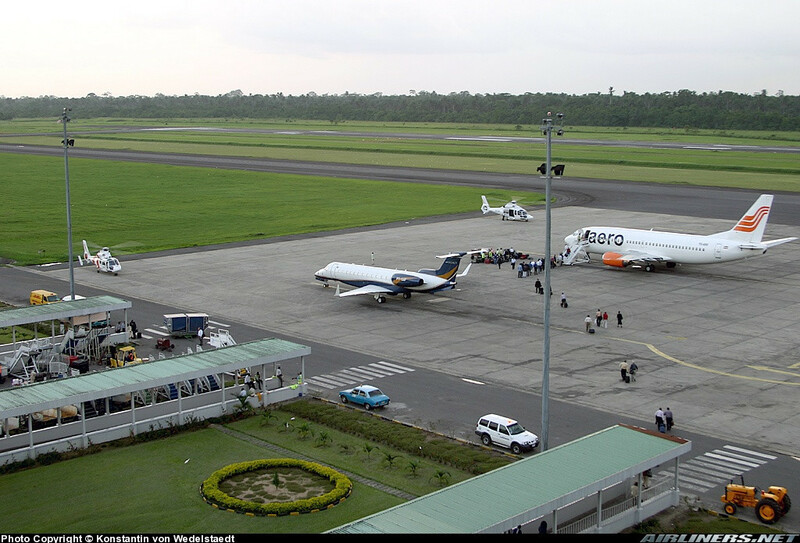 ► CONGO (BRAZZAVILLE): New regional carrier Air CEMAC eyes a January 2013 launch date. Following a recent meeting of Civil Aviation Ministers of the Economic and Monetary Community of African States (CEMAC) consisting of Cameroon, the Central African Republic, Congo (Brazzaville), Gabon, Equatorial Guinea and Chad, a decision was reached in which Air France was chosen as the airline's new strategic and financial partner replacing South African Airways (which was terminated in February owing to "deep differences of opinion") who themselves had replaced Royal Air Maroc and Brussels Airlines. ► SOMALIA: Government 'planning' to restart Somali Airlines. The Somali Government on Saturday outlined possible plans to resurrect defunct Somali national carrier Somali Airlines (HH), more than 20 years after it collapsed. Since then, the vacuum left has been filled by several private airlines, amongst which are Jubba Airways, Daallo Airlines and Puntair. ► ZIMBABWE: Air Zimbabwe Operations & General Aviation Update. Over the last 3 weeks or so, we have been in Zimbabwe for business and had the chance to pay Air Zimbabwe and the Civil Aviation Authority of Zimbabwe (CAAZ) a visit to try and try get some updates on the status of Air Zimbabwe (UM) as well as other general info. After all, the interwebs has been filled with vast amounts of speculation and conflicting reports on Air Zimbabwe's status and murky dealings all of which make it very difficult to get an accurate picture of what is really going on there. Air Zimbabwe is still flying domestically, albeit using its aging Boeing 737-200Adv fleet to service Harare - Victoria Falls and Harare - Bulawayo. According to our sources, loads have picked up (which is no surprise seeing as there is no other competition on the routes). Harare - Vic Falls costs USD$400 return (lol). 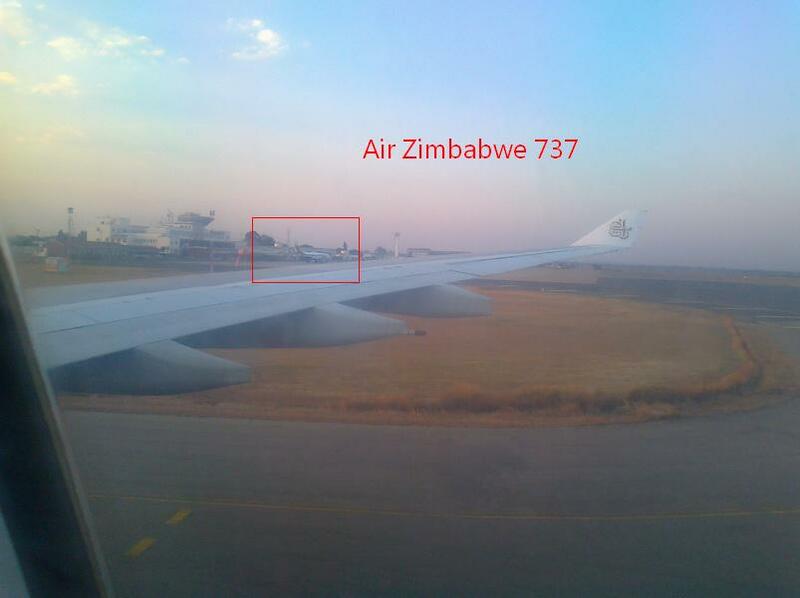 Air Zimbabwe has indeed received a second A320 as previously reported by us. The two aircraft are now awaiting CAAZ registration before entering service, though where to, is still unknown. Also, the mysterious deal for two Airbus A340-500s that never was, came up quite often. Seems the deal is somehow "still in the offing" (make of that what you will, but we will believe it when we see it) though how much of that is truth and how much is pure BS is anyone's guess. The Air Zimbabwe member we spoke to made reference to the fact that staff have gone without pay for 11 months; UM staff are still in court over the USD$40million still owed to them, so any new deal to get UM back in the skies will first have to overcome this serious problem. Solenta Aviation, one of the only private players plying the safari routes, shut down its Zimbabwean operation as of May 2012. Harare International Airport is undergoing refurbishment; the main runway and taxiways are being done at the present moment using USD$24million in funds availed by the Ministry of Finance. Bulawayo (Joshua Mqabuko Nkomo) Airport is about to be completed, with Victoria Falls Airport currently a "work in progress". No word yet on when SolAir or Phoenix Air will (if ever) take to the skies. Strangely enough, a controversial Chinese mining firm, Anjin Investments, at the centre of a scandal involving Zimbabwean diamonds, has also applied for an airline operator's license. So there you have it folks. Make of it what you all will, but bear in mind that what a pencil pushing bureaucrat says and what actually happens are usually two completely different things. 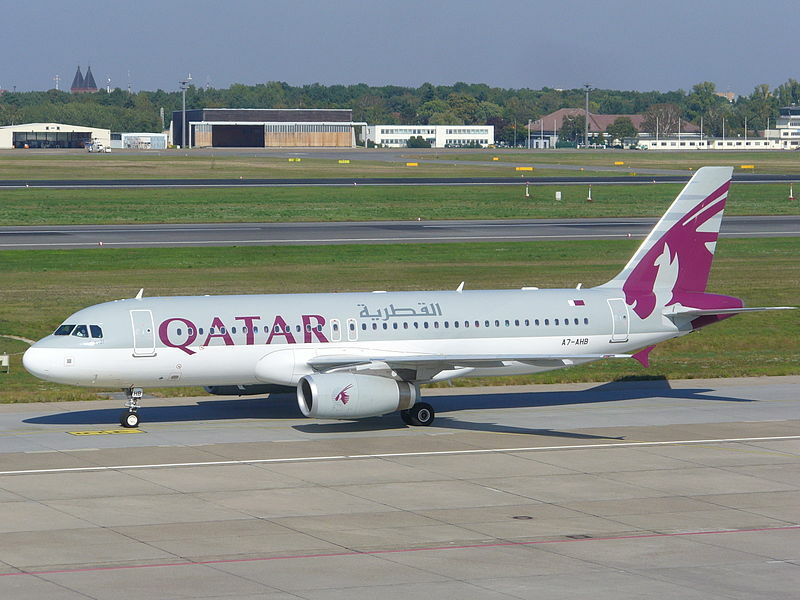 ► TANZANIA: Qatar Airways announces Kilimanjaro route changes. Qatari carrier Qatar Airways (QR) has announced routing changes to its Doha, Qatar - Kilimanjaro, Tanzania flights. The Airbus A320 operated flights will now go via Dar es Salaam, Tanzania, thereby replacing the previously announced Nairobi, Kenya stop effective 25 July 2012. QR has not been granted fifth freedom rights on the Dar es Salaam – Kilimanjaro sector. In 2011, Qatar Airways signed an interline deal with Tanzanian carrier Precision Air Tanzania (PW) which will give passengers seamless travel options to popular holiday destinations in Tanzania and the sub region such as the Comoros Islands in the Indian Ocean, renowned for its picture-postcard beaches and beautiful landscapes, as well as the exotic island of Zanzibar. ► NIGERIA: Arik Air announces Winter changes to New York; suffers two incidents in 3 hours. Nigerian carrier Arik Air (W3) has announced changes to its Winter 2012 Lagos, Nigeria - New York route effective 29 October 2012. The route is presently served with an Airbus A340-500 wet leased from HiFly Air Transport. ► ETHIOPIA: Ethiopian Airlines set to receive first 787 in early August. After incessant production line delays continuously pushed back its slated date of entry by 3 years, Ethiopian Airlines (ET) has officially announced that it will take delivery of its first Boeing 787 Dreamliner in "early August" though when exactly, is not yet known. 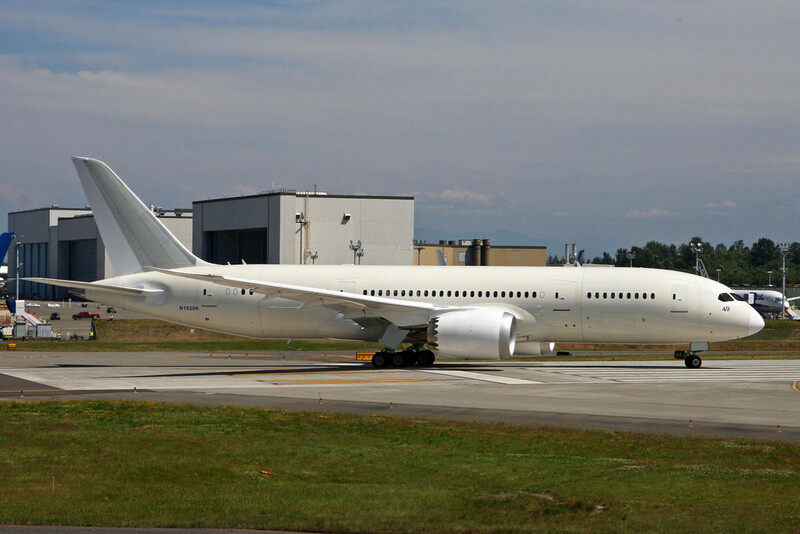 Presently, its first Dreamliner (ET-AOQ/ MSN 34745) is said to have completed its initial flight worthiness tests and has already entered the paint shop. Ethiopian has an order for 10 Dreamliners and is the first African airline to receive the aircraft. "Ethiopian is pleased to announce that its Boeing 787 Dreamliner is in the final stages of preparation for delivery in August 2012. The first Ethiopian Dreamliner left the Boeing assembly plant in Seattle, Washington and headed to San Antonio, Texas on Thursday, July 12, 2012 to be painted in Ethiopian livery. The Ethiopian Dreamliner, having conducted its first test flight on Monday, July 9, 2012, will stay in San Antonio for 12 days. After being painted with Ethiopian logo, the Dreamliner will fly back to Seattle where Ethiopian will take delivery in early August. Ethiopian is proud to be the first in Africa to fly this much awaited, state-of-the-art aircraft, and is pleased to offer its passengers the ultimate travel experience on board this aircraft"
Ethiopian has scheduled Johannesburg and Dubai to start 787 services effective 1 August 2012, Guangzhou from 16 August 2012, and Harare and Lusaka from 28 October 2012. ► MAURITANIA: Harbin Y12 crashes on take off; 7 dead. A Chinese built Harbin Y12 turboprop aircraft chartered by Canadian Mining firm Kinross Gold Corporation yesterday crashed shortly after take off from Nouakchott's International Airport yesterday enroute to Tasiast, 300 kilometres north of the capital of Nouakchott. Tasiast is the location of one of Kinross' open pit gold mines. ""The plane crashed inside the Nouakchott airport perimeter just after taking off," said Colonel Teyib ould Brahim, a spokesman for Mauritania's armed forces. Witnesses said the plane caught fire before crashing but the cause was not clear." In a statement on its website, Kinross Gold confirmed that "seven people were killed in the crash, including two pilots, two Mauritanian customs officials, and three contract security personnel though no Kinross personnel were on board." The seven were to go to Tasiast to collect refined gold. 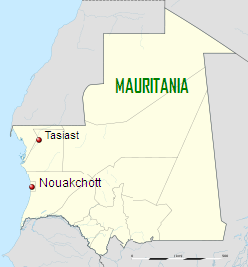 The Mauritanian Air Force is reported to have operated two of the type, another of which crashed in 1996. ► SEYCHELLES: Air Seychelles increases Joburg flights from December. Following the arrival last week of their Airbus A330-200 with another due in January 2013, Air Seychelles has announced the increase in its frequencies to Johannesburg, South Africa from the current 2x weekly, to 4x weekly, effective 1 December 2012. ► ZAMBIA: See the first pics of Zambezi Airlines' CRJ-200ERs. Since recommencing operations in mid June 2012, Zambezi Airlines (ZJ) has leased its first of two Canadair CRJ-200ERs from South African Express. Registered as ZS-NMK, the aircraft was previously leased to MGC Airlines of South Africa. ► ITALY: Alitalia announces operational changes to Africa network. Italian carrier Alitalia (AZ) has announced operational changes to its Africa network, effective Summer (Europe) 2012. ► NIGERIA: British Airways considers Port Harcourt - Heathrow route. British Airways (BA) has reportedly shown interest in starting up a possible London Heathrow - Port Harcourt, Nigeria daily flight to add to its current Nigerian network of Lagos and Abuja. Previously Kano was also served. The initiative was revealed by BA's CEO Keith Williams during a briefing with the Nigerian media. where by he touched upon the importance of the Nigerian market to British Airways though it appears nothing was mentioned about the airline's often strained relationship with the Nigerian Civil Aviation Authority (NCAA) which has often held witch hunts amongst foreign carriers, accusing them of overcharging Nigerian passengers on the lucrative Nigeria - Europe routes. "“Nigeria clearly is a huge market for BA, having served there for 75 years. BA has a commitment to Lagos and Abuja to serve them better and would also include more routes so as to satisfy more customers,” he said. The CEO also described Lagos and Abuja as two very important routes for British Airways, adding that Port Harcourt is a destination BA would be considering as a result of the city’s current big business area status." At present, Port Harcourt sees international service from only Air France and Lufthansa though with its growing economic prominence, and in particular its petroleum industry, this could change quite soon. ► UNITED KINGDOM: British Airways announces changes to Africa network from October onwards. 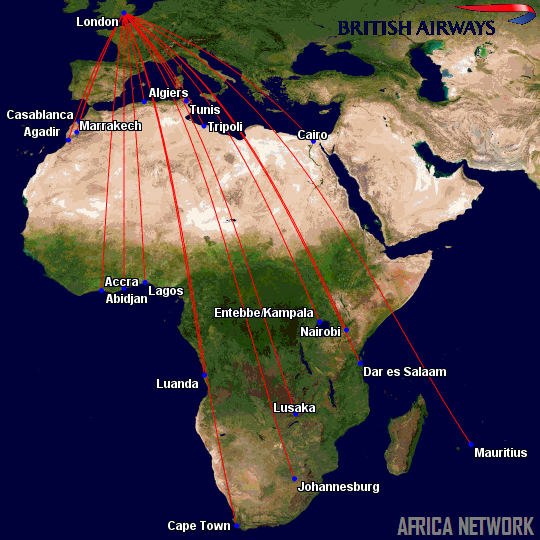 British Airways (BA) has announced various changes to its African timetable effective 28 October 2012 some of which have been previously reported on here at The African Aviation Tribune. ►► BELGIUM: Brussels Airlines announces Africa schedule changes from October onwards. 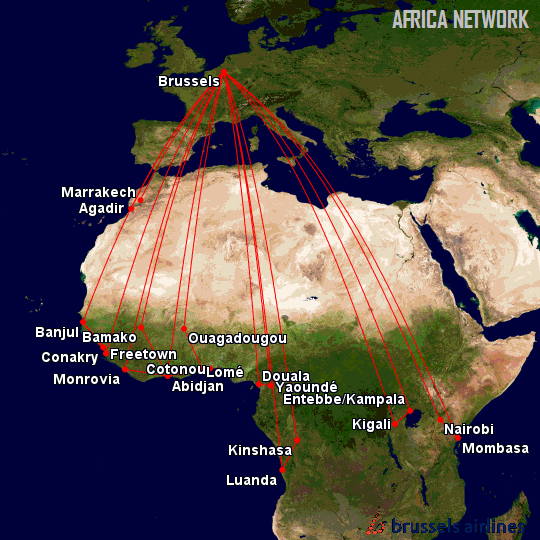 Belgian carrier Brussels Airlines (SN) has announced sweeping changes to its African network effective 1 October 2012. 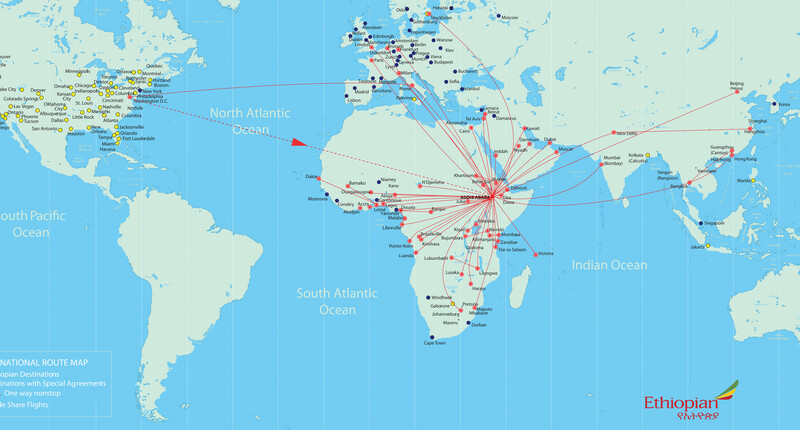 Brussels Airlines' Africa Route Network. Airbus A330-200 replaces -300 on service to Abidjan (1 weekly only), Bamako, Lome, Ouagadougou from 1 October 2012. Ouagadougou, Burkina Faso: Service operates nonstop in each direction, extending to Lome. This replaces BRU-BKO-OUA-BRU. Yaounde, Cameroon: Service reduces from 5x to 4x weekly, via Douala. -Service to Kigali reduces from 5x to 3x weekly, Entebbe from 4x to 3x weekly. 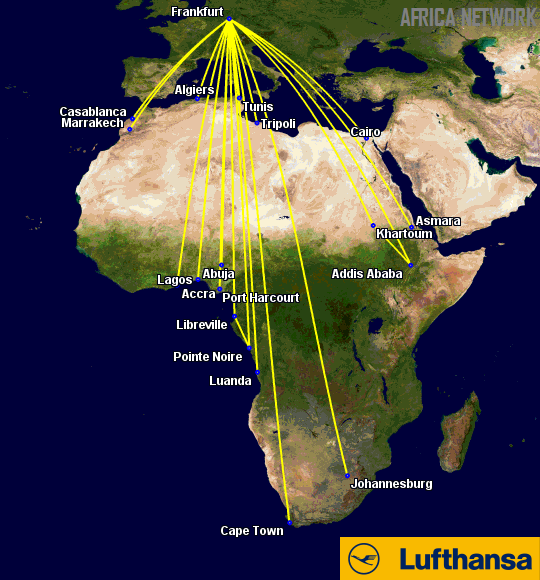 Brussels – Luanda – Kinshasa – Brussels SN359 on Day 7 operates with A330-200 instead of -300 from 16 December 2012 to 06 January 2013. 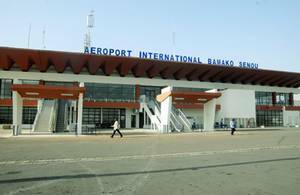 ► MALI: Air France announces changes to Bamako service. Air France has announced changes to its daily Paris - Bamako, Mali service effective from 1 August 2012 until 27 October 2012 as the Malian capital Bamako prepares to open its newly refurbished Sénou International Airport. During this time, the route Bamako - Paris CDG outbound leg will operate with a technical stop in Casablanca, Morocco. Sénou International Airport has been undergoing various improvements and renovations over the last few years, with the present set of upgrades costing USD$190million and financed by the US government, the World Bank and other donors, expected to be ready for use by late September. ► ZIMBABWE: 1Time to start Joburg to Harare and Vic Falls? The aviation rumour-mill here in Zimbabwe is awash with word that South African LCC 1Time (T6) has just completed a trial Johannesburg - Harare, Zimbabwe flight and will shortly commence service, though no official confirmation has yet been given by either 1Time or the Civil Aviation Authority of Zimbabwe (CAAZ). In the recent past, Kulula, 1Time and the now-defunct LCC VelvetSky had battled to no avail, enormous red tape and CAAZ protective measures to acquire rights to service the very lucrative routes of Johannesburg - Harare, and Johannesburg - Victoria Falls where the average price for a return ticket from Harare to Joburg can cost anywhere from USD$440 to USD$600 using either South African Airways or BA Comair. Until now these routes have been dominated by South African Airways, BA Comair and even Air Zimbabwe though with Air Zimbabwe facing possible liquidation, it seems likely that the Zimbabwean authorities would want to free up the route seeing as the only competitors on it, are now exclusively South African. As mentioned above, 1Time is also looking at starting a service to Victoria Falls which, in theory, it does already serve, albeit on the Zambian side of the Falls - Livingstone. ► CHAD: Toumaï Air Tchad grounded by authorities after IATA audit finds serious safety shortcomings. Chadian state carrier Toumaï Air Tchad (9D), along with two other unspecified airlines, have been grounded indefinitely by Chadian authorities in Ndjamena following a damning safety audit of the airlines by IATA, which uncovered serious safety shortcomings. ► SEYCHELLES: Air Seychelles receives first A330 (Pics). Seychellois carrier, Air Seychelles (HM), on Thursday received the first of its ex Jet Airways Airbus A330-200s. Touching down in Mahe after a flight from Abu Dhabi and piloted by an exclusively Seychellois crew, Aldabra, as the aeroplane has been christened, features the latest in on-board comfort with flat beds in business class and individual entertainment systems for every seat in economy class. ► BURUNDI: Air Burundi gets its first MA-60.